A near full card of games over the weekend including both 1s teams in action at home as well as an inter-club match up. Clydesdale Men’s 1s will be hoping to bounce back from their first defeat of the season last Saturday when they take on Hillhead at Titwood, 4.30pm pushback in Men’s National Division One. The M1s were knocked off top spot following their 4-0 home loss to Grove Menzieshill. That day they were missing a few players, but for their league clash against Hillhead they welcome back Andrew Allan and Aidan Black to the squad. ‘Dale have already taken on opponents Hillhead twice this season. The first meeting was in the league’s opening game of the season, which finished 1-1. The two sides then met a few weeks later in the 1st Round of the Scottish Cup which saw a narrow 3-2 win for the home side. 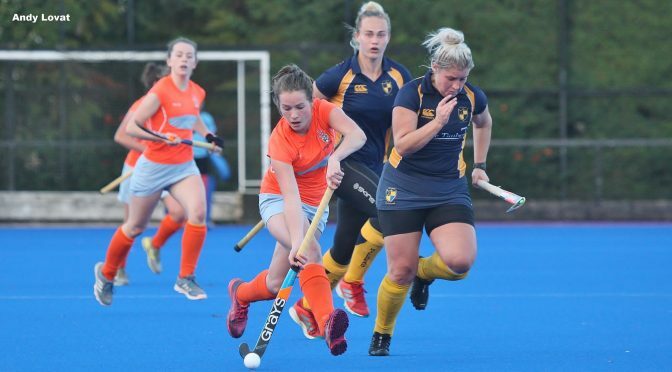 Clydesdale Western 1s will be hoping to build on their crucial win last Saturday when they play Hillhead’s Ladies 1s at Titwood on Saturday in Women’s National Division One from 3.00pm. ‘Dale Western reignited their bid to be champions of WNL 1 with a 3-1 home win over fellow league challengers, Grove Menzieshill last weekend. The L1s have Anna Hoolaghan added to unwanted injury list alongside captain, Ali Howie and Jen Eadie. That aside, the home side still have a strong squad selected for Saturday’s match. The last game between the two sides finished 4-0 to Clydesdale Western back in September. Bar the M3s, it’s a full card of games starting with from 11.00am as the M2s go across to Edinburgh to play Grange 2s in their bid to gain their first points of the season. The M4s play at home from noon against Uddingston 4s, whilst the M5s play away to Giffnock 3s at 1.30pm. Clydesdale Western’s West District teams return following a two week break. The L4s are at home from 1.30pm against Dumfries 1s. There are away trips for the L5s and L6s who play Glasgow Accies 2s (1.30pm PB) and University of Strathclyde 2s (3.30pm PB) respectively. The L3s will play host to the L2s in the Championship Division One match which takes place on Sunday, 2.00pm PB. Good luck to all of our teams this weekend. Many thanks to our selfless umpires for their help this weekend too!